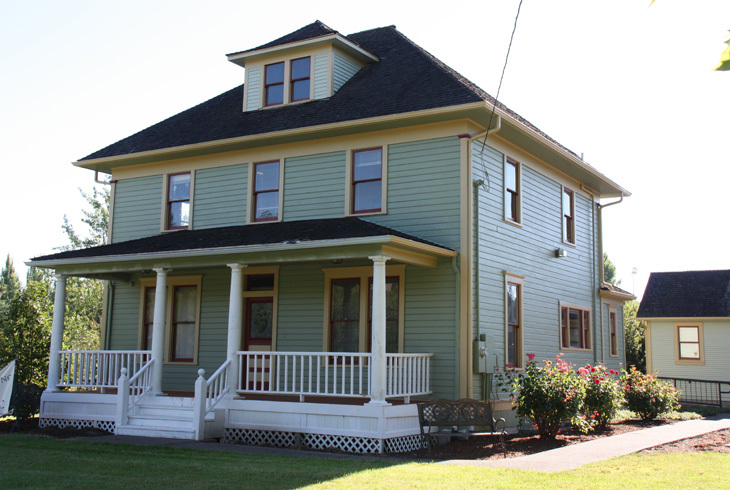 The historic house was given a new look during a 2017 restoration. A file photo shows the building as it looked before its 2017 restoration. 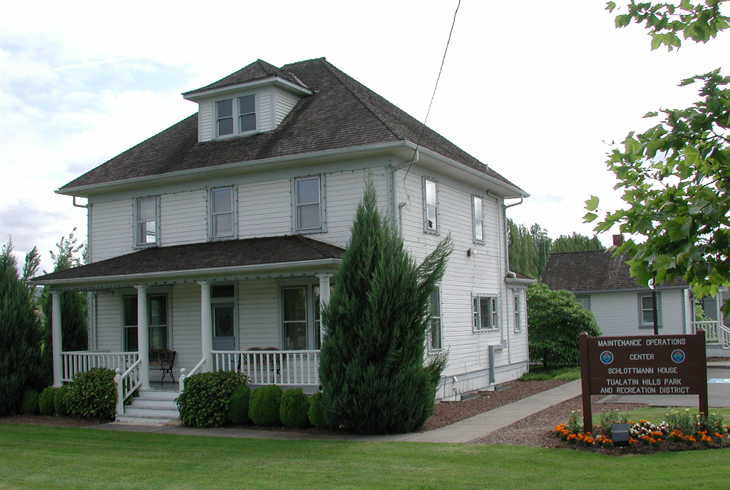 Heinrick Schlottmann emigrated from Germany to Oregon and settled his homestead on 97 acres in Beaverton. Construction of the frame house was completed in 1906. A carpenter by trade, Schlottmann built the house, including all interior woodwork and cabinetry, in a 20th Century American foursquare style. Oats, wheat and hay were grown on the Schlottmann farm, and dairy cattle were raised. (The family discontinued dairy farming after 1958). Heinrick Schlottman's son, Emil, spent his entire 92 years living on the property, which is now part of THPRD's main campus, the Howard M. Terpenning Recreation Complex. The house and adjacent bunk house are used by THPRD as office space. The Schlottmann family sold 70 acres to THPRD in the late 1970s. In 1988, the Park District acquired the additional 27 acres, including the main house, bunk house and garage.